There have been several scandals recently highlighting the dangers of poorly managed overseas aid work. From Oxfam – one of the world’s largest charities – being involved in misconduct, to the BBC recently reporting on the mismanagement of orphanages and foster homes in Uganda itself. 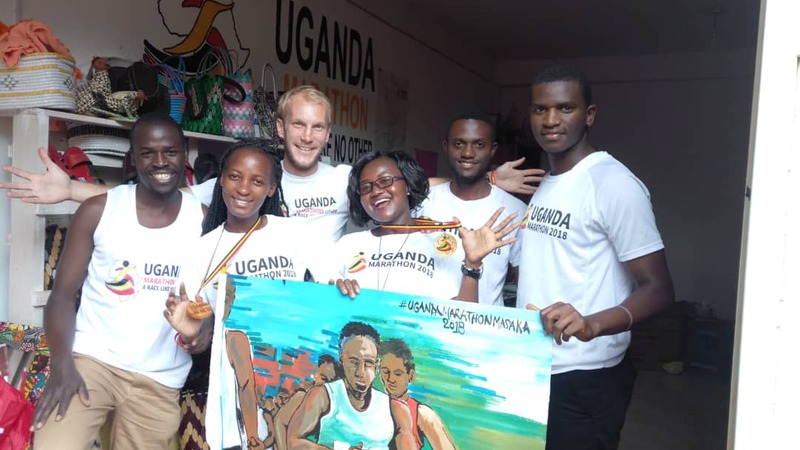 Here at The Uganda Marathon, we’re incredibly proud of our approach to helping the communities we work with and support. Offering a hand up, not a hand out. We take our lead from the local communities we serve, not the other way round. And we’re extremely passionate about fighting poor practice – especially orphanages. There are a very few number of legitimate orphanages in Uganda. It is a sad fact that some unscrupulous people see children as a means of making money, rather than as incredible but vulnerable people who need fostering and rehabilitation back to their family to thrive. Orphanages are, sadly, big business – and many actively encourage mothers and guardians to place their children with them to increase foreign aid / donations. Our community partnerships manager, Andy Bownds, shares his thoughts on how we discourage such behaviour below. Our team in Masaka work full time with our partner projects to make sure your fundraising is spent in the best possible way. ” I am based in Masaka full time and work alongside 6 other full time Ugandan staff and a 4 strong Ugandan board. Who are dedicated not only to ensuring that you have the best possible visit to Uganda but also leave an incredible positive legacy! Application Process– All projects that are funded through the marathon go through this level of due diligence. They must provide evidence of their registration which proves they have been in operation for two years or more. The application form is designed to demonstrate their impact and how they are working towards being self-sustainable. Applications are then shortlisted by the Uganda Marathon Board of Trustees based in Masaka. The board is made up of charity experts who represent a variety of different categories of development from education, women’s empowerment, health and youth. These are all well respected community leaders with established organisations. The Masaka based board select a short list of 20 charities that are then forwarded alongside notes to our international trustee board. The international board is made up of people from all parts of the world who have a real range of expertise in both the business and charity sectors. This board act as an impartial body complete the final selection down to 15 projects. The final 15 projects are then visited by our expert evaluation team in Masaka and their on the ground impact and capacity evaluated. Only after this process are they publicised to our runners for them to select the project they are most passionate about and fundraise for. M&E – We don’t just stop there and throughout the year our full time team build a relationship with our projects as we continue to monitor and evaluate their work and impact. This is done mainly by our two field officers Tom our Community Partnership Manager and Edna our Monitoring and Evaluation Officer. 3-4 days a week they spend travelling between our funded projects, not only from the current year but also all previously funded organisations. They assess their impact against their targets, their financial record keeping and their legal status making sure they keep their registration up to date. We also provide training around all these elements so as projects really understand the importance of theses critical elements in development. We also have two days a year where we invite district officials to come and view our projects. These days involve us hiring a bus and travelling with the Community Development Officer, the Chief Administration Officer and a representative from the Resident District Commissioners office. These are the legal stakeholders for all charity work in the region of Masaka and are the perfect people to assess our work on the ground. Accountability –Now it’s about sharing this information with you the funder. We do this through quarterly reports, social media updates and our transparent finance system. The quarterly reports that are also sent to all relevant district officials in Masaka are forwarded directly to your email and contain everything from personal success stories to detailed figures relating to impact. Social media updates will give you an insight into the daily running of the project and demonstrate how often we as a team visit. The transparent finances system is something we are developing new for this year, it contains all the receipts of expenditure, bank transfers and the quarterly reports as a one stop guide for anyone to log onto to personally assess our work. This will be online soon and we cant wait to share it with the world. We have created a short video from Smile Street and Needy Children, one of our 2019 partner projects. In the video, you can see one of our Uganda team visiting the project, along with an interview with the project lead. Please do contact us if you have any questions or ideas as we are always looking for ways to improve our systems to ensure your legacy is truly sustainable and accountable.